Flights to the Lahaul Valley will start from January 1st next year. District administration has already started the process of booking flights. Once the election results are declared on 20th December, there an official announcement will be made. The proposed plan is to start the flight bookings from 22-23 December onward. 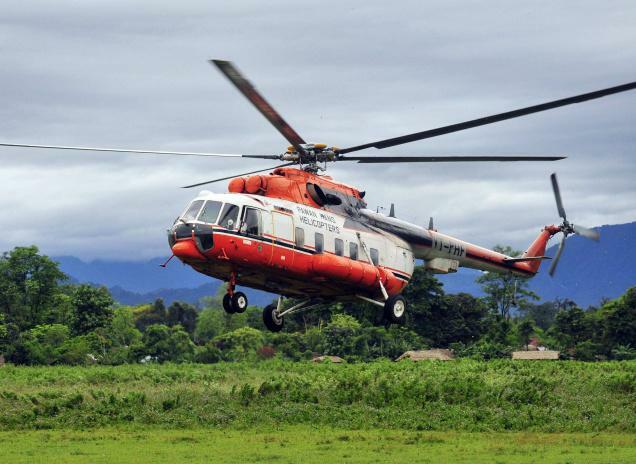 Earlier this month, capsule the state administration signed a fresh contract with Pawan Hans Company for 40 Flight Flying hours. The Pawan Hans helicopter will be a 26 seater landing at different locations in the Lahaul Valley. The flights will take off from the Bhuntar Airport. Usually these flights land at Udaipur, Keylong, and Stingri on different days of the week. Lahaul Spiti is one of the difficult terrains to counter especially in the winter and air travel remains the only way to move in and out of the valley. There are chances that these flights would start early this year considering the demands of the natives of the valley. The state administration has appointed four officials to take care of every outgoing flight from the Kullu-Bhunat airport. This year we can expect booking counters at different locations within Kullu District. However, there is no concrete information with regard to these booking counters as yet. The state government is yet to finalize the pricing for these flights.